Paru le 23 juin 2011 chez Warner Bros. Prince, Producer, Arranger, Writer, MainArtist Copyright : 2006 NPG Records, Inc. under exclusive license to Warner Bros. Records Inc. 1979 NPG Records, Inc. under exclusive license to Warner Bros. Records Inc. Prince, Producer, Arranger, Writer, MainArtist Copyright : 2006 NPG Records, Inc. under exclusive license to Warner Bros. Records Inc. 1980 NPG Records, Inc. under exclusive license to Warner Bros. Records Inc. Prince, Producer, Arranger, Writer, MainArtist Copyright : 2006 NPG Records, Inc. under exclusive license to Warner Bros. Records Inc. 1981 NPG Records, Inc. under exclusive license to Warner Bros. Records Inc. Prince, Producer, Arranger, Writer, Performed by, MainArtist Copyright : 2006 NPG Records, Inc. under exclusive license to Warner Bros. Records Inc. 1982 NPG Records, Inc. under exclusive license to Warner Bros. Records Inc. Prince, Producer, Arranger, Writer, MainArtist Copyright : 2006 NPG Records, Inc. under exclusive license to Warner Bros. Records Inc. 1982 NPG Records, Inc. under exclusive license to Warner Bros. Records Inc. Prince, Producer, Arranger, Featured Vocalist, Writer, MainArtist Copyright : 2006 NPG Records, Inc. under exclusive license to Warner Bros. Records Inc. 1984 NPG Records, Inc. under exclusive license to Warner Bros. Records Inc. Prince & The Revolution, MainArtist - Prince, Producer, Arranger, Writer - PRINCE AND THE REVOLUTION, Producer Copyright : 2006 NPG Records, Inc. under exclusive license to Warner Bros. Records Inc. 1984 NPG Records, Inc. under exclusive license to Warner Bros. Records Inc. Prince & The Revolution, MainArtist - Prince, Featured Vocalist, Writer - PRINCE AND THE REVOLUTION, Producer Copyright : 2006 NPG Records, Inc. under exclusive license to Warner Bros. Records Inc. 1984 NPG Records, Inc. under exclusive license to Warner Bros. Records Inc. Prince, Producer, Arranger, Writer, MainArtist - Mazarati, Background Vocals Copyright : 2006 NPG Records, Inc. under exclusive license to Warner Bros. Records Inc. 1999 NPG Records, Inc. under exclusive license to Warner Bros. Records Inc. Prince, Producer, Arranger, Writer, MainArtist Copyright : 2006 NPG Records, Inc. under exclusive license to Warner Bros. Records Inc. 1987 NPG Records, Inc. under exclusive license to Warner Bros. Records Inc. 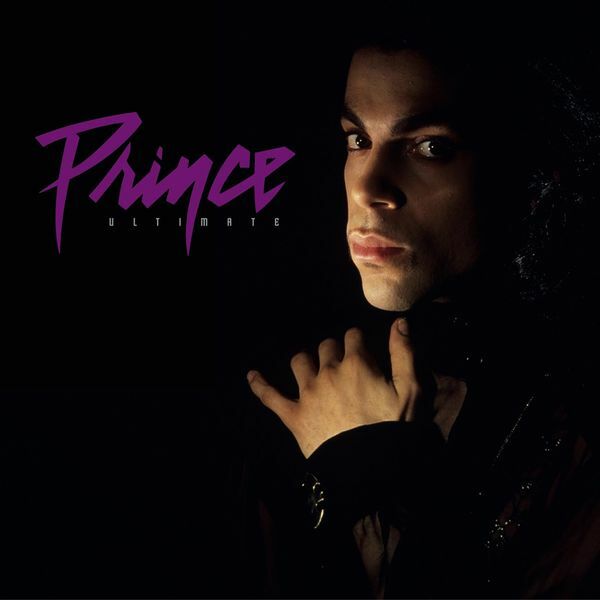 Prince, Producer, Arranger, Writer, MainArtist - Cat, Vocals - Sheila E., Drums, Percussion, Vocals - Eric Leeds, Vocals, Brass - Levi Seacer Jr., Bass Guitar, Vocals - Boni Boyer, Organ, Vocals - Atlanta Bliss, Vocals - Dr. Fink, Keyboards Copyright : 2006 NPG Records, Inc. under exclusive license to Warner Bros. Records Inc. 1999 NPG Records, Inc. under exclusive license to Warner Bros. Records Inc. Prince, Writer - Prince & The New Power Generation, Producer, MainArtist Copyright : 2006 NPG Records, Inc. under exclusive license to Warner Bros. Records Inc. 1999 NPG Records, Inc. under exclusive license to Warner Bros. Records Inc. Prince & The New Power Generation, Composer, Lyricist, Producer, Arranger, MainArtist Copyright : 2006 NPG Records, Inc. under exclusive license to Warner Bros. Records Inc. 1991 Warner Bros. Records Inc. for the United States and WEA International Inc. for the world outside of the United States. Prince & The New Power Generation, Composer, Producer, Arranger, Writer, MainArtist Copyright : 2006 NPG Records, Inc. under exclusive license to Warner Bros. Records Inc. 1991 Warner Bros. Records Inc. for the United States and WEA International Inc. for the world outside of the United States. Prince, Writer - Prince & The New Power Generation, Producer, MainArtist Copyright : 2006 NPG Records, Inc. under exclusive license to Warner Bros. Records Inc. 1992 Warner Bros. Records Inc.
Rosie Gaines, Vocals, FeaturedArtist - Prince, Producer, Arranger, Writer - Prince & The New Power Generation, MainArtist Copyright : 2006 NPG Records, Inc. under exclusive license to Warner Bros. Records Inc. 1992 Warner Bros. Records Inc. for the U.S. and WEA International Inc. for the world outside of the U.S.
Gary Shider, Background Vocals - Tevin Campbell, Performance - Rosie Gaines, Background Vocals - Prince, Orchestra, Producer, Arranger, Drums, Guitar, Keyboards, Writer, Background Vocals, Bass, Performance - Prince & The New Power Generation, MainArtist - Pat lewis, Background Vocals - Mavis Staples, Performance - George Clinton, Performance - Mike Harris, Background Vocals - William Payne, Background Vocals - Sheila E., Drums, Background Vocals - Jana Anderson, Background Vocals - Eric Leeds, Saxophone - Levi Seacer Jr., Background Vocals, Bass - Jerome Benton, Background Vocals - MORRIS DAY, Drums, Vocals - Atlanta Bliss, Trumpet - Robin Power, Performance - Candy Dulfer, Saxophone - Belita Woods, Background Vocals - Amp Fiddler, Keyboards, Background Vocals - Steve Boyd, Background Vocals - Joseph Fiddler, Keyboards - The New Power Generation, Additional Background Vocals - T.C. Ellis, Performance - Tracey Lewis, Background Vocals - The Steeles, Background Vocals, Performance - Bonnie Boyer, Hammond Organ, Background Vocals - Josepth Fiddler, Background Vocals - Sandra Dance, Background Vocals Copyright : 2006 NPG Records, Inc. under exclusive license to Warner Bros. Records Inc. 1992 NPG Records, Inc. under exclusive license to Warner Bros. Records Inc. Prince & The Revolution, MainArtist - Prince, Writer, Performance - PRINCE AND THE REVOLUTION, Producer Copyright : 2006 NPG Records, Inc. under exclusive license to Warner Bros. Records Inc. 1984 NPG Records, Inc. under exclusive license to Warner Bros. Records Inc. Prince, Producer, Arranger, Writer, Performance, MainArtist - Lisa, Vocals - Peggy McCreary, Mixer - Dez, Solo Guitar, Vocals - Don Batts, Additional Engineer Copyright : 2006 NPG Records, Inc. under exclusive license to Warner Bros. Records Inc. 1982 NPG Records, Inc. under exclusive license to Warner Bros. Records Inc. Prince & The Revolution, MainArtist - David Coleman, Cello - Prince, Writer - PRINCE AND THE REVOLUTION, Producer - Sid Page, Violin - Susie Katayama, Cello - L.Woods, Viola - Annette Atkinson, Upright Bass - D. Buffman, Viola - Lisa and Wendy, Strings - Marcy Dicterow-Vag, Violin - Tim Barr, Upright Bass Copyright : 2006 NPG Records, Inc. under exclusive license to Warner Bros. Records Inc. 1985 NPG Records, Inc. under exclusive license to Warner Bros. Records Inc. Prince & The Revolution, MainArtist - Prince, Writer - PRINCE AND THE REVOLUTION, Producer, Performed by Copyright : 2006 NPG Records, Inc. under exclusive license to Warner Bros. Records Inc. 1985 NPG Records, Inc. under exclusive license to Warner Bros. Records Inc. Prince & The Revolution, MainArtist - Prince, Writer - PRINCE AND THE REVOLUTION, Producer Copyright : 2006 NPG Records, Inc. under exclusive license to Warner Bros. Records Inc. 1986 NPG Records, Inc. under exclusive license to Warner Bros. Records Inc. Prince, Lyricist, Producer, Arranger, Writer, MainArtist - Spike Lee, Producer Copyright : 2006 NPG Records, Inc. under exclusive license to Warner Bros. Records Inc. 1987 NPG Records, Inc. under exclusive license to Warner Bros. Records Inc. Prince, Writer - Prince & The New Power Generation, Producer, MainArtist Copyright : 2006 NPG Records, Inc. under exclusive license to Warner Bros. Records Inc. 1991 NPG Records, Inc. under exclusive license to Warner Bros. Records Inc.
© 2006 NPG Records, Inc. under exclusive license to Warner Bros. Records Inc.
2006 NPG Records, Inc. under exclusive license to Warner Bros. Records Inc.